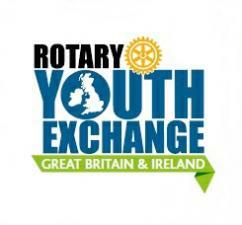 The YOUTH SERVICE Committee provides support for Rotary Youth Leadership Awared (RYLA), Camps and Tours, Youth Exchange, Rotaract, Interact, Youth Speaks, Young Chef, Young Writer, Young Photographer, Young Citizen of the Year, plus occasional District Technology Tournaments. The Rotary Club of Brighton held its Annual Young Citizen’s Awards Ceremony on 28th June 2018 at the Brighton Hilton Metropole Hotel. Rotary Youth Leadership Award is a Rotary International program for young people to develop qualities of leadership and good citizenship amongst their communities. Many Opportnities for Young people. 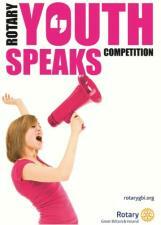 How to enter the Youth Speaks Competition! How to enter the Young Photographer Competition. 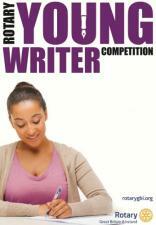 How to enter the Young Writer Competition! How to enter the Young Chef Competition! 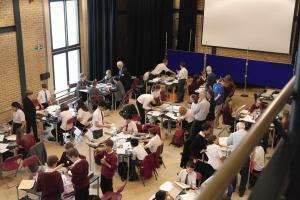 Rotary Clubs come together to run Technology Tournaments for local schools. How to enter the Young Musician Competition!